"Hello, Operator! 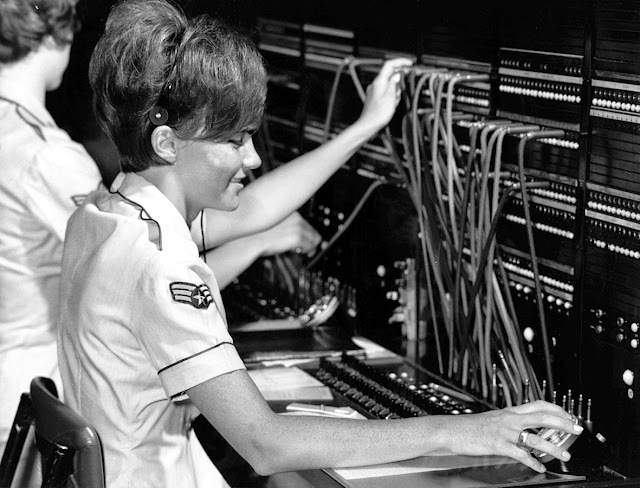 Please help me filter my search"
"Offutt Air Force Base operator" by U.S. Air Force photo - page image. Information has never been more ubiquitous than it is today. Fortunately, we live in a world of open access where performing a simple Google Search can yield the results we are looking for. But what about those times when it doesn't? There is actually SO much information online that it can become difficult finding what we are looking for. The problem isn't that there is TOO much information on the Internet. It's that we often have difficulty filtering this information. Not to worry, Google is aware of this problem, and has integrated search operators for people to use when searching the Web. Search operators are, "words that can be added to searches to help narrow down the results" (Punctuation, symbols, & operators in search). In other words, search operators help us to filter information on the Internet. There are several search operators that can be used when performing a Google Search. For example, if you perform a search using the "define:" operator followed by a word, Google will return the definition of that word. However, it is important to note that when you use search operators, make sure that you don’t have any spaces between your operator and search terms. For example, searching for “site:wikipedia.org” will apply the operator, but “site: wikipedia.org” will not. 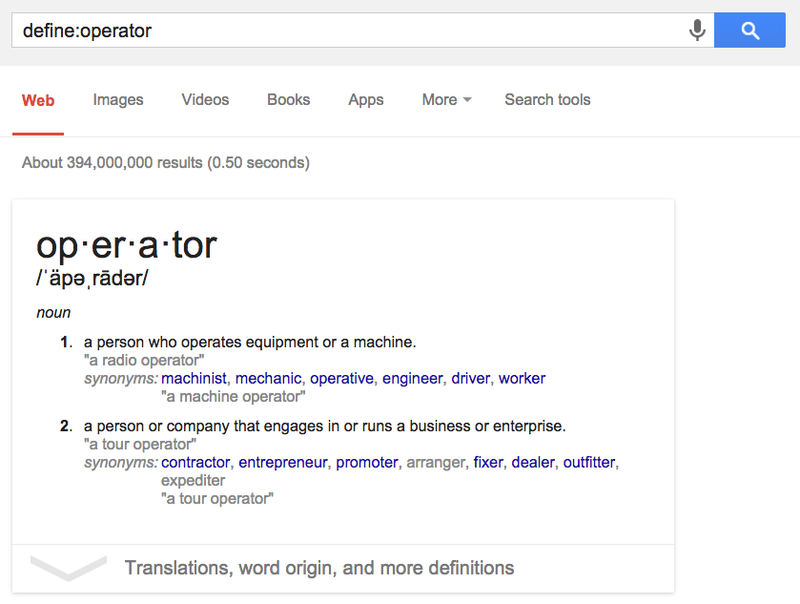 Now, you could memorize all of the operators that are currently available to use in your queries. Or, you could use Google Advanced Search, which already has the operators built into specific search fields. 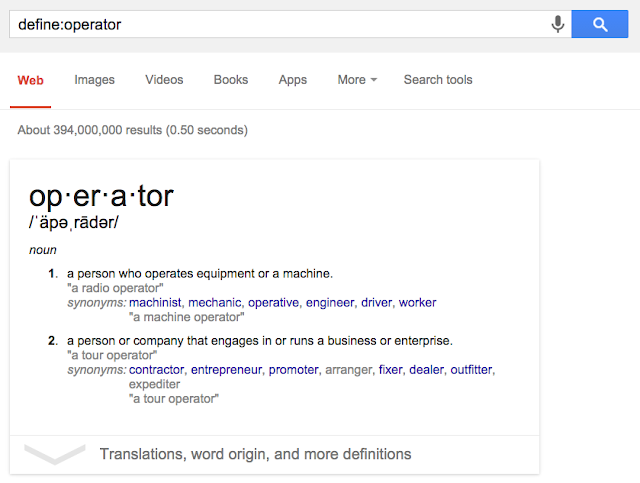 With Google Advanced Search, you can search using a single operator, or multiple operators at the same time. The table below helps to identify the search fields in Google Advanced Search and explains how to use each one. When using these search operators (either in the omnibox or in Google Advanced Search) there are a few search rules to keep in mind. 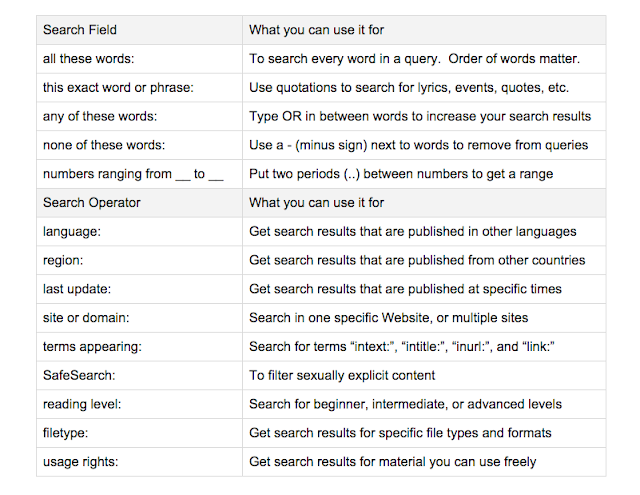 These rules not only apply when using search operators. They also apply to any Google Search. Every word matters: Consider only using key terms, and omit unnecessary words. Order of words matter: Consider the order in which you use your key terms and words. Symbols matter: Consider using symbols such as $, #, @, *, -, and + to refine your search. Capitalization does NOT matter: Disregard using capital letters. Punctuation does NOT matter: Disregard using !, ?, ; ., etc. So, the next time you need to perform a Google Search, consider using search operators and Google Advanced Search to filter out information in order to help you find exactly what you are looking for! Well said and I like your sentence "Information has never been more ubiquitous than it is today. Fortunately, we live in a world of open access where performing a simple Google Search can yield the results we are looking for", great points. You can read related posts on custom essay writing service blog posts. I love the way you portrait the article. I am looking forward to read more of your works and posts.